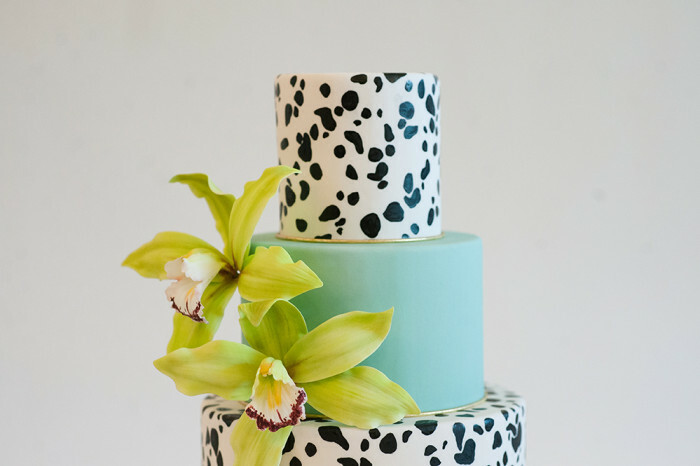 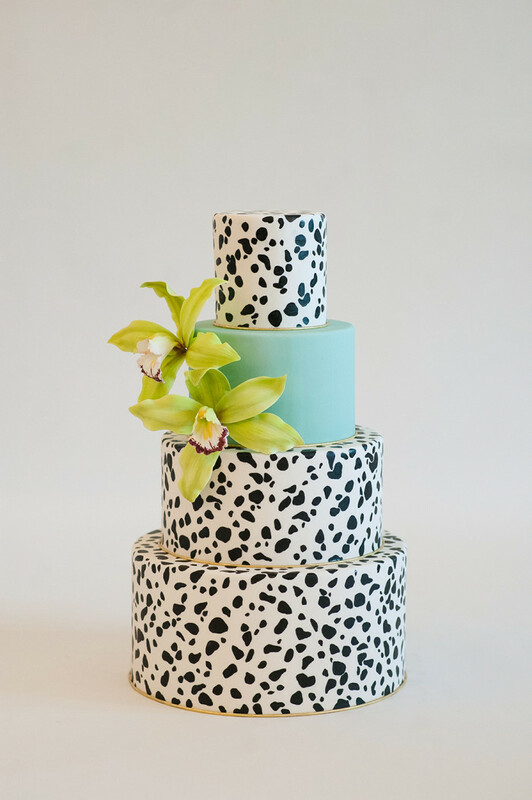 The hand-painted spots that surround this cake make Sophia fun and lively and not too serious. 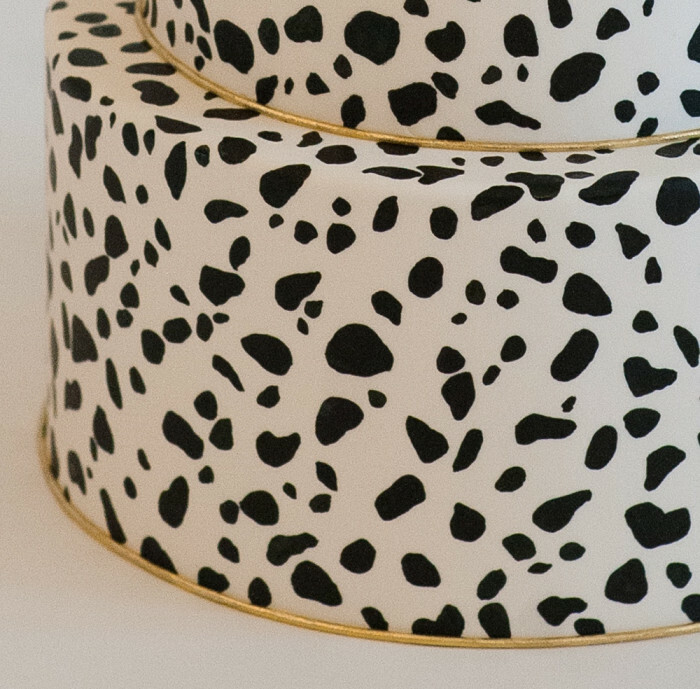 The delicate, thin gold, rope border at the base of each tier adds the shiny accent this design needs to still feel beautiful and feminine. 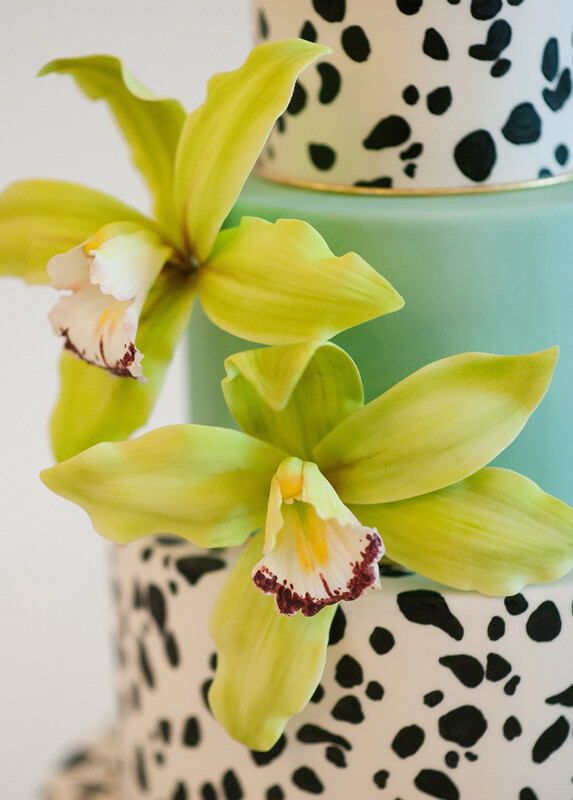 Vibrant green, sugar, cymbidium orchids against the ocean blue tier are the true focal point to this design that is perfect for the carefree Bride.